Holiday hair saviours - yes OUAI! 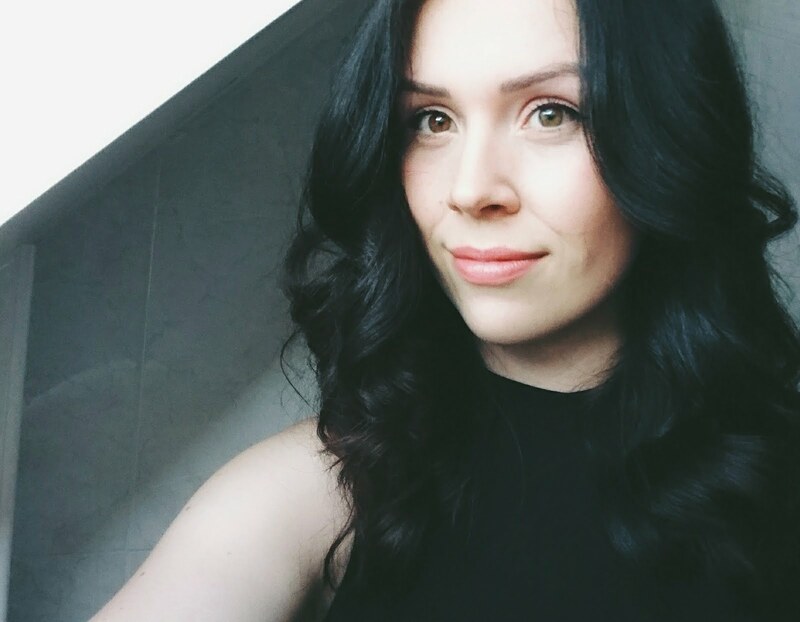 This year I've really tried to take more interest in products that are truly suitable for my hair. Don't get me wrong I love a product or two. What am I kidding, I have probably have more products than shoes. I would find though that I never really found the right types of products for my hair type, or at least ones that didn't really give it a 'wow factor'. 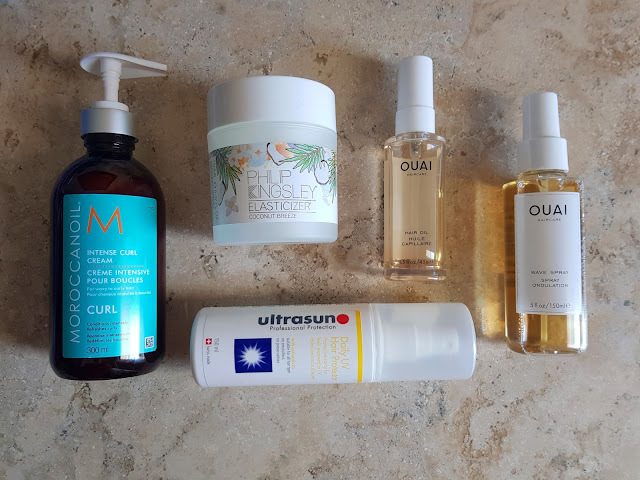 I knew I needed to find some cult hair products that would save my hair in the holiday sun and heat, especially when I would be by the beach! Pre-sun products never crossed my mind before in all honesty. It would never really dawn on me how much UV can dry it out, let alone damaging factors from the salt water and chlorine. The Ultrasun Sun Protection Daily UV Hair Protector was a must. I'd whack my hair up into a bun or french plaits after spraying it throughout my hair whilst I was by the sea/pool. The benefit of using a product like this is that it tries to keep elasticity in your hair and restores some moisture and detangling nourishment to sun stressed hair at the same time. Another 'pre product'. Pre shampooing treatments. The Philip Kingsley Coconut Breeze Elasticizer. Firstly can I just say how amazing this smells?! I would want to use it simply for the scent and the treatment being a bonus! It's literally the smell of summer - if you like the scent of coconut. Depending how intense you want this product to treat your hair, depends on how you should use it. In my case, I would dampen my hair and spread it throughout and leave it for say, 20 minutes before I intend on washing it. If I wanted something more nourishing than that, I would put it in my hair to wash out the following day. This is an absolute must if you are putting your hair through stress. Recently I've decided that I want to use less heat on my hair if possible. So styling it becomes more of an interesting task. Especially with the humidity of Mexico and the dull weather back here in the UK. The Morrocan Oil Intense Curl Cream I thought this would be perfect for me to try to encourage my natural curls to come back again. I definitely notice a difference in my hair when I use this in my hair. It keeps the curls looking shiny and feeling soft whilst fighting frizz - yes! Finally there's these two bad-boys. These were completely impulsive purchases all encouraged by (believe it or not!) ASOS. I tend to browse the beauty section of ASOS from time to time just to discover new brands that appear on the market to me. OUAI - pronounced like 'way' is a product that not only wants to look 'instagramable' but actually effective to use in day to day hair. I thought I'd give the hair oil and wave spray a try. Considering how many times I read the reviews and product description and kept them in my saved items basket, I just decided to bite the bullet. The hair oil can be used on damp or dry hair, perfect for combating the frizz. The wave spray was something that I was curious about. I've tried many a wave/salt spray in the past (i'm a major fan of beachy hair!) but been left a little unimpressed. 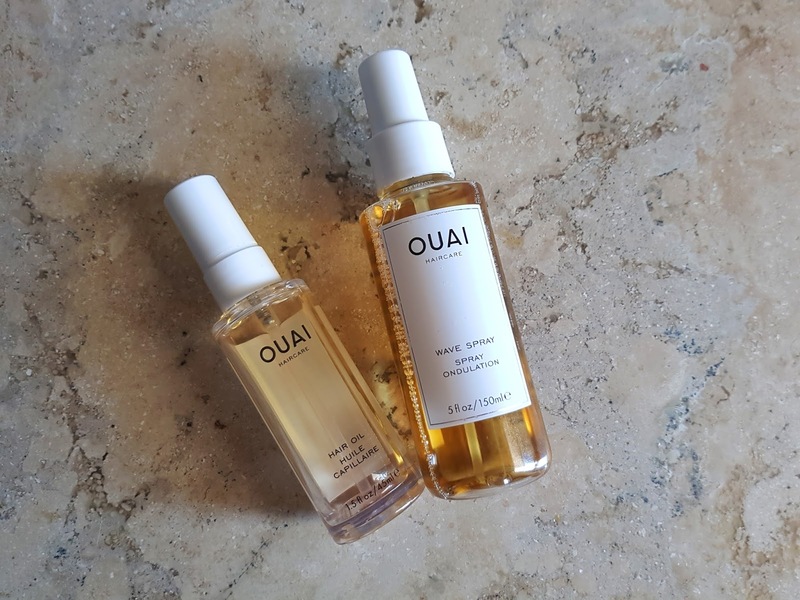 What I love about the OUAI wave spray is that it smells amazing and leaves my hair feeling soft and weightless. Whereas some wave/salt sprays smell weird and even leave my hair feeling like its full of product. I can't wait to try out more OUAI products in the future.